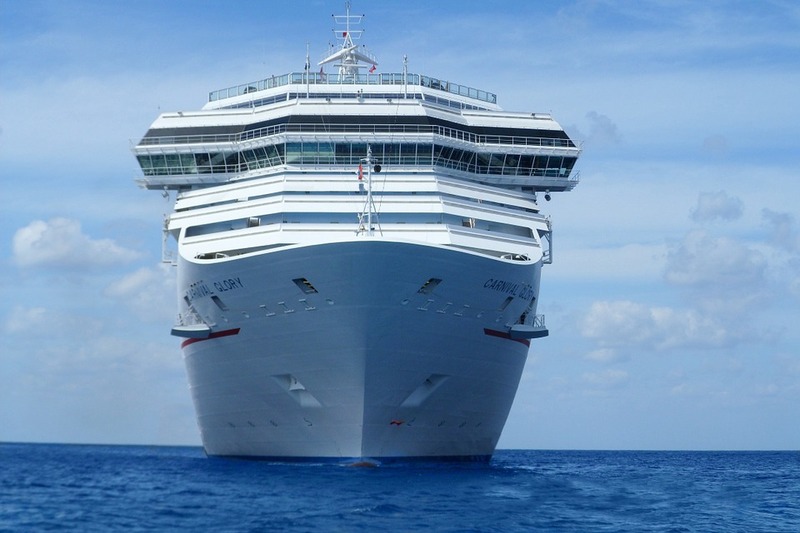 If you are going on a cruise for the first time, you may be unsure of what to expect. Will it be stuffy black tie dinners and making polite conversation with elderly people you hardly know, or will it be a riotous few weeks of overeating, drinking too much, and dancing the night away? Well, the first travel tip about cruises that I have for you is; do you research about the ship before you book cruise, because not all cruise ships are alike. When I went on a cruise with my now ex-wife and our very young daughter, it was the best holiday of my life, but not everything was as I had expected. Read on, and I’ll explain ten travel tips about what to expect on a cruise. As I alluded to in the opening paragraph, choosing the right cruise ship for you is vital when booking a cruise and it’s not all about the destination. Some ships are adults only, some are better for kids than others, and some are more formal than others. Do your research online and look at people’s comments about the ship. We were lucky; we got just the right mix of formal dinners, kid’s entertainment, and amenities to suit us all, but I have talked to people who didn’t do their research, and they regretted it. Being our first ever cruise, we were keen to get the holiday started and arrived to check in at the earliest possible time. Big mistake! This was a few years ago, so things may have changed, but we had to wait for hours in an overcrowded terminal building, which had more than passing resemblance to a cattle shed, and when we did get onto the ship, we couldn’t get into our cabin for several hours more. If you can check in between 10.00am and 2.00pm, I’d suggest that you aim for 2.00pm. Cabins with a balcony are more expensive, but boy is it worth that extra little bit of money. We splashed out what they called on mini-suite, which gave us a bit more space as well as the balcony. Sitting out on that balcony, with my cup of coffee, in the early hours of the morning as we came into port, are what make up some of my best memories of the cruise. I did take a peek into one of the inside cabins, and frankly, I was glad that I’d spent that extra money. Depending on the type of cruise that you choose, you might need to take some extra clothes for the formal evenings, but even so, don’t pack too much. Space is limited on a cruise ship, even in the more expensive cabins, so only pack what you know you will need. You can always make use of the ship’s laundry service if you need to. Don’t be fooled by the size of cruise ships, they can still move around a bit in rough weather! I felt nothing more than a bit queasy on the first few days when it was quite rough, but my wife spent two days in the bathroom heaving! In the end, we went to see the ships medic and they gave my wife an injection that stopped her sickness almost immediately. However, be warned, they charged me an arm and a leg for that one single treatment. Cruise ships are big, so the first chance you get, I would suggest that you take a walk around and see what there is to discover. Some places are always busy, like by the pool, but if you want a bit of peace and quiet, look around and you’ll probably find a quiet spot hidden away somewhere. Check out the various bars and restaurants too, don’t just stick to the one. We found a lovely, cosy, champagne bar on our ship, completely by accident. The food is great on a cruise, whichever restaurant you choose, but the buffet style restaurant that most people use for breakfast and lunch can get really busy and very noisy. If you fancy something a more refined, try getting breakfast or lunch in one of the formal dining rooms instead. You don’t have to dress up or anything, but you get proper table service and it it’s a lot more peaceful and relaxed. I guess this depends on the particular cruise that you are on, but we had a lot of stops in different countries in a relatively short space of time. Not wanting to miss a thing, we booked excursions in every port and sometimes, those excursions started out very early in the morning. What with that, and the late nights, we got so tried that we just didn’t bother getting up for one trip that we had already paid for. The entertainment on board the ship, both in the day and at night, is excellent, and often you will find well-known entertainers appearing. Check out what will be on, early on in your cruise, so that you don’t miss out on anything good. No doubt different cruise lines have different policies on what exactly constitutes all-inclusive, but we spent way over what we were expecting to. On the days that you are at sea, there are the on-board shops, the casinos, the bars, and the speciality restaurants, all waiting to tempt you to empty your pocket. Then, of course, when you go ashore, you have to get something from every country visit, don’t you? Don’t take these travel tips about cruises as being in any way a thumbs-down on the whole experience. Going on a cruise was an amazing holiday and one I highly recommend. It was especially good for when we had a young child, because, on our cruise, they had an excellent kids club that could keep my daughter occupied while my wife and I went and did grownup stuff. In fact, although it cost us a small fortune, a cruise was pretty much the perfect holiday.